Profit through better logistics. Contact us for all your logistical needs, from one tonne utilities to prime movers pulling single and b-double trailers. 24/7 Melbourne and interstate freight transport. 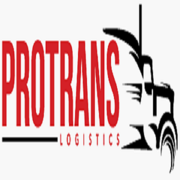 Websites: https://protranslogistics.com.au/ Phone: 04 0055 3290 Email: info@protrans.com.au Address:. Sea freight service is the most effective way to move your goods from one place to another place. TSL Australia is the best sources for sea freight services throughout various countries like Australia, China, Southeast Asia, India, Europe, and America. Our professionals' team ensure your goods arrive at their destination anywhere in the world at given time with genuine care. One of the most affordable removalists Sydney based, Sydney Domain Furniture Removals is a name to reckon for all those relocating to a new house. Consisting of a team of expert movers and packers, the company assists all types of movements, be it residential or commercial. The expert removalists ensure that every aspect of the removal procedure is performed properly, thus delivering services that are highly satisfactory. Newcastle's and the Hunter’s Local Removalist of Choice for over 20 years. We service residential and commercial customer, no job is too large or too small. For a free quote contact us on 02 49 600 688 today! Address: 9 Friesian Cl Sandgate NSW 2304 Australia Phone:	02 4044 0942 Email:	info@acrobatremovals. Are you looking to shift houses without allowing your stress to go off the charts? Then it is time to employ the amazing removal services from Sydney Domain Furniture Removals. Regarded as the best removalist in Sydney, the experts at Sydney Domain Furniture Removals are qualified in their respective jobs. Man With A Truck is one of Melbourne’s premier and most recommended removalists for a reason. As a company that has been operating in this field for a number of years, Man With A Truck in Melbourne have what it takes to handle your move expertly. Regardless of how big or small the move we have the perfect removal van or truck for the job, you are assured of the same level of professionalism and efficiency. Excited that you are moving to a new city? Worried about the entire moving process? Don’t worry. Sydney Domain Furniture Removals is here to provide solutions to all of your stress and worries. Recognized as one of the leading furniture removalists Sydney based, Sydney Domain Furniture Removals provides all kinds of provisions. Worried about the big relocation scheduled just a few days later? Well, bid adieu to movement stress with services from one of the most celebrated Sydney furniture removalists, Sydney Domain Furniture Removals. With experts providing assistance to complete the procedure with ease, you can get all kind support from the removalist. Get the best moving solutions with the best removalists of Cronulla. Things left behind by our ancestors always holds a special emotion for us. But what if you need to move your house to a different location? Moving such fragile and priceless things can definitely rob you of your sleep. Hence, you need someone on whom you can depend with such a delicate task. Visit us at http://www. Rumbles Removals and Storage Solutions. We can assist with local and interstate removals, as well as long and short term storage solutions. Call us now for a free quote 02 6299 4455. Moving people throughout Canberra, Queanbeyan, and interstate since 1945 http://rumbles.com.au/ Phone: 02 6299 4455 Email: info@rumbles. Preparing for an unexpected move and need help quickly? You owe it to yourself to procure the services you need to ensure your belongings are safe. 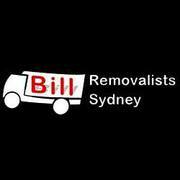 Our staff in Bill Removalists Sydney is equipped with the latest tools in effective moving that will provide quality and speed. Once you rely on our professional moving services, you can expect us to be there with your every step of the way. Wasting time with the wrong office removalists? Today is the time that you should not waste your time for wrong removalists. Office relocation can not only be an exciting time, it can also be a stressful time. Though you may have a number of employees, it is certainly not recommended that you turn them into office removalists simply to save a few dollars. Cold Cube specialist for design, construction and temperature-controlled of Cool Rooms in Melbourne. With many years of the experience in industry. We use the latest technology to minimise energy consumption and environmental impacts. Our contractors give you guarantee the quality and security of each project. Regarded as one of the most affordable removalists Sydney based, with Sydney Domain Furniture Removals, moving becomes easier. With a team of efficient professionals, you can rely on them for every minute task of packing and moving. Offering customized moving services to the residents of Sydney and its surrounding areas, you will find both residential and corporate moving services with Sydney Domain Furniture Removals. Looking to make your shift to the new house easy and effective? Then Sydney Domain Furniture Removals is a one-stop destination for you. Considered to be a leading furniture removalists Sydney based, the company excels in packing and moving furniture. Be it a fragile piece or a bulky item, the experts are capable of handling all types of furniture. Call 1300324536 for Budget Removals, 24 7 Removalists Melbourne.Fix Rate Pricing, No Hidden Cost, Free Boxes & Packing, On furniture mover Get Free Quotes Today Now!Experienced Local, Interstate & International Furniture Removalist. Get a Quote! 1300 Eagle Movers is your one-stop reliable packers and movers partner in shifting anything and everything. Ready2Go Australia Pty Ltd is an established company in the removals industry which is administrated by a bunch of professional business personnel who are offering a large platform for sole business owners having years of experience in moving, furniture assembly, and cleaning services which are essential during relocation process. Looking to hire Furniture Removal in Cheltenham? Then without wasting anytime approach Pro Movers Melbourne. Moving to a new location you required trained and experienced removalists in Cheltenham which ensure you a smooth move with minimal disruption without scratch & damageing your item. At Pro Movers, we offer an exhaustive moving service that will assist you with every one of the parts of moving and also we give guarantee & 100% client satisfaction on moving services. All Safe Self Storage has several self-storage facilities in the Gold Coast, located in 338 Burleigh Connection Rd., Burleigh Waters, QLD. All Safe Self Storage provides the comfort and convince for the storage but it also keeps the cost low. Our storage units are easy to use. We keep the customer belongings in safe and trusted hands and also provide facility in affordable price. Wollondilly Self Storage in Picton NSW has been in operation for more that 10 years. We have over 120 storage units of various sizes from 3.0m X 1.5m to 6.0m x 6.0m with about 20 different sizes in between. We are the lowest priced storage facility in the district.All our units are on the ground floor with easy access. PR Removals is the premium moving services company in Melbourne & Perth Australia. Book now quick, safe & hassle free move here.PR Removals love the jobs you hate and aim to provide excellent and high quality moving services at the most competitive rates.. Considered to be a reputed interstate furniture removalist, Sydney Domain Furniture Removals is a one-stop destination for all those who are seeking quality packing and moving services. The removalist offers pre-packing as well as moving provisions. With fully equipped trucks, the experts working for the company are careful, diligent and experienced. Regarded as one of the most celebrated furniture removalists Sydney based, Sydney Domain Furniture Removals is a name to reckon for smooth pre-packing and moving services. The professionals take care of every aspect of moving which includes packing your belongings safely into boxes, labeling the boxes, moving and even unpacking your stuff. 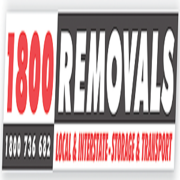 Searching for local removals in Adelaide? Adelaide Northern Removal is modest removalists in Adelaide offering furniture expulsions at moderate costs approach +61-405285285! As a privately claimed and worked privately-owned company with more than 15 years' involvement, we think about furnishing our customers with a sheltered, secure, and sound administration. Get affordable moving services company Victoria in Australia. We provide shipping containers and removals in Australia. An Expert in Moving has put together a list of relocation companies in Australia who can assist you with your move abroad. For more information about Moving Company Victoria visit the website https://www. As one of the leading removalists, Sydney Domain Furniture Removals is a one-stop destination for all people looking for help with moving houses. The wide range of moving services includes professional pre-packing provisions, transporting furniture and unpacking the belongings. The experienced professionals handle their work with utmost care and conviction. Considered to be one of the best interstate furniture removalists in Sydney, Sydney Domain Furniture Removals is a name to reckon. Offering quality services in the furniture removal domain, the company is marked by experienced and qualified professionals. With fully equipped trucks, the experts move both heavy and fragile furniture with ease. Australia’s leading shipping container specialist, Joy containers specialises in selling high quality 20ft shipping container at the most competitive prices. We provide shipping containers nationwide in all major states and cities of Australia. To know more, click onto - httpswww.joycontainers.com Address - Suite 405 Level 4 83 York Street Sydney NSW 2000 Ph. Gold Star Removals specialises in all freight and storage services on the Gold Coast including heavy transport. We are a trusted big mover for all your large freight services, whether their destination is local, intrastate or interstate. Container Hire for all your needs Our container hire services. Moving services, storage services Australia ads Australia, Moving services, storage services classifieds Australia, Moving services, storage services free ads Australia, ads for sale Australia, ads to buy Australia, FREEADSAustralia Page number 2-1. Find here ads for sale, to buy and rent in Australia. Goods for sale in Australia, vehicles for sale in Australia, Australia real estate for sale, Australia property for sale, property for rent in Australia, business ads in Australia, Australia business classifieds, services in Australia, Australia services ads, jobs in Australia, pets for sale in Australia, Australia dating, Australia cars for sale.